I also have a bit of purple in there too, but you can't really see it in this photo. 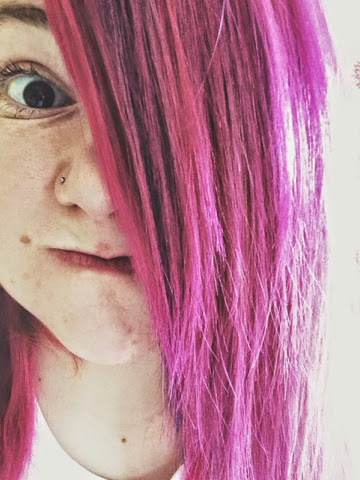 I used the Bleach London 'The Big Pink' and I am completely in love with the result. The same with the 'Out of the Blue' one I used last time. I have been dying my hair these crazy colours since I was about fourteen or fifteen, and I haven't found any products that compare to these. Even their 'salon quality' bleach is nothing to be compared with. (I used it to get black out of my hair a few months ago, and the result was pretty much white). 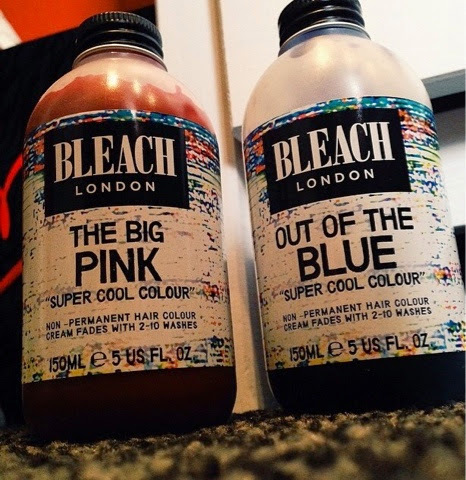 I would also recommend their 'washing out liquid' as it helped me get the blue out of my hair in just a few washes, which allowed be go pink! Basically. It's awesome, and if you want to dye your hair, use these guys.